Everyone should feel safe and secure in their own home, regardless of the area that you live in or what goes on there. Even if you live in an area where you feel like you are more susceptible to be the victim of a crime, there are steps that you can take to protect yourself, your family, your home, and your possessions. Here are some things you can do before a crime occurs to prevent one from happening in the first place. It’s better to be prepared and not need it than to be the victim of a crime, after all! Home security is one of the most important things to take under consideration when buying a house. check out Fast Keys they have a variety of different locks for you to choose from. Being knowledgeable about how burglaries happen is the first step to preventing them. One important thing to know is that the majority of burglaries occur between the hours of 10 a.m. and 3 p.m. That would mean that most of them occur when the typical person is away during their workday. As we previously stated, burglars tend to shy away from occupied homes. So, if you have two cars, consider leaving one in the driveway while you’re away at work instead of in the garage, or set a timer that turns your radio or TV on during these times. Another tactic is to schedule things like your gardening and other home maintenance services during these hours to further deter thieves. This is probably the most obvious option to increase your home’s security, but it still needs to be said. 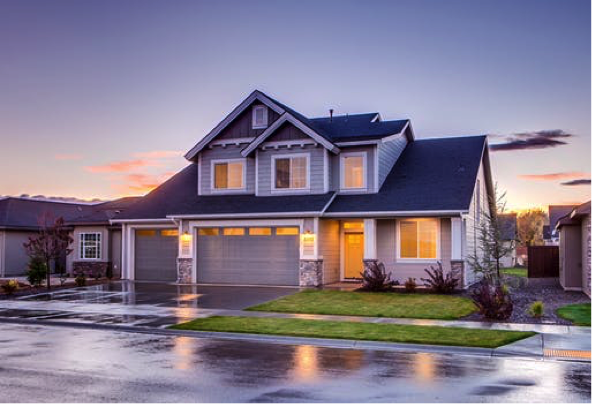 There are many different types of security systems out there, from your basic package to motion activated cameras by your front door, strategically placed around the house, or even within your home if you like. Whatever type of home security system you opt for, it will help make your home that much more secure. In fact, homes that do not have a security system are three times more likely to have a break in. But what if you can’t afford a security system or just don’t want to shell out the cash for it? One alternative that isn’t guaranteed to work but may still have the same results is to buy the decals or signs that security providers leave on eBay or other sites. If you leave the decal on your front door, just as your security provider would, thieves will see (or think!) that your home is being monitored and will scram before any damage is done. If you feel like the security of your home has been breached in any way, such as you realize you misplaced your house key or you gave one to someone you no longer trust, or the spare you kept under the welcome mat has gone missing, then it might be time to change your house keys. Call a reliable locksmith like Kwikey Locksmith West Palm Beach Florida to get the locks on your home changed and give a key to everyone who needs one, keeping your family safe from beak-ins. If you’re away from home for an extended period of time, such as on a vacation or for another purpose, your home is at an even increased risk. Thieves will notice when your home has been unoccupied for some time and may capitalize on your absence. Don’t let them! Ask your neighbors to check on your house periodically, or request that someone you know park their car in your driveway. You could even ask someone you trust to stay at your home while you’re gone. Things like leaving out your garbage can while you’re gone or a mailbox overflowing are signs to thieves that your home hasn’t been tended to in some time, so don’t be afraid to ask your friends to help you with these things!